Udaipur is known as a standout amongst the most romantic destinations of India and on occasion alluded to as the ‘Venice of the East’. 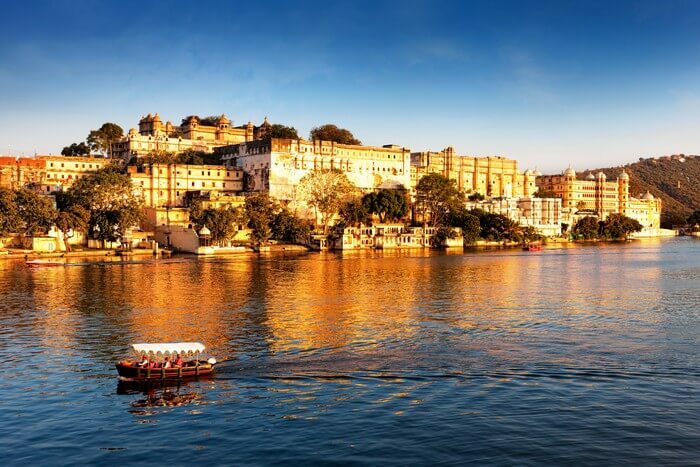 When you visit Udaipur and go on exploring the splendid city, there is no denying that it provides full justice on being called the 'Jewel of Mewar' exuding regal exquisiteness. Maharana Udai Singh II founded the city in the year 1559. This place is a prominent tourist destination of India and is noted for its rich culture, and tradition. The imperial city of Udaipur boasts of massive forts, beautiful palaces, art museums, well-laid gardens, architectural temples, colorful fairs and festivals. Some of the popular places to visit here include City Palace, Lake Pichola, Fateh Sagar Lake, Monsoon Palace, Saheliyon ki Bari, Jag Mahal, Jagdish Temple, Shilpagram, Gulab Bagh Zoo and so on. Owing to its easy accessibility from all the major towns in India, Udaipur is a perfect destination for a surreal retreat. With an ideal amalgamation of laid back relaxation and daring adventures, the tourist places in Udaipur are certainly the most exciting when we talk about elegance and magnificence. The alluring beauty and the most stunning tourist attractions rightly makes Udaipur the most sought after holiday destination in India. 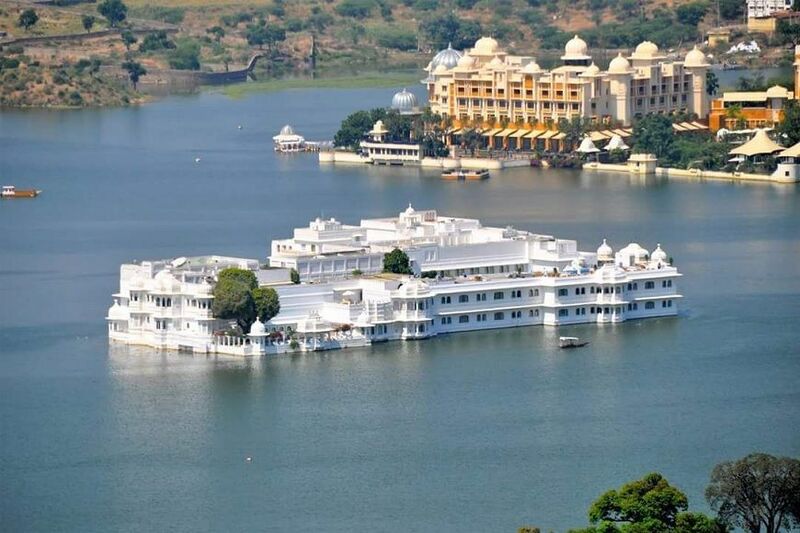 The Lake Palace in Udaipur is located on the Jag Niwas Island on a sprawling 1.5-hectare land. This magnificent structure was built on the Lake Pichola by Maharana Jagat Singh in 1734. 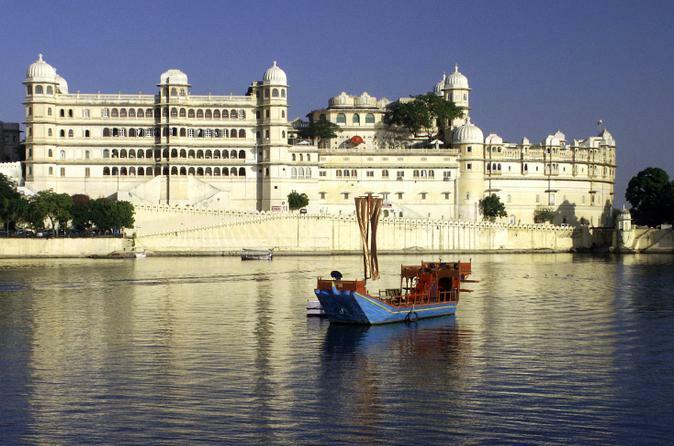 Once a summer palace for the royalty of Udaipur, it has now been converted into a heritage hotel. Still retaining the grandeur, it resembles a fairy tale kingdom. Enhancing the magical aura are the rippling waves and the beautiful sunset. The intricate craftsmanship and aesthetic handicrafts and textiles add to the beauty this place. The elegant white marble palace is a fantasy as it arises softly from the blue waters. 4 acres of rock have been used to lay the foundation of this palace and was known as Jag Niwas after its founder. The palace highlights include fountains, gardens, pillared terraces, painted mirrors, pink stone work, lotus leaves and cusped arches. Dhola Mahal, Bada Mahal, Phool Mahal, Ajjan Niwas and Kush Mahal are some of the apartments in here. 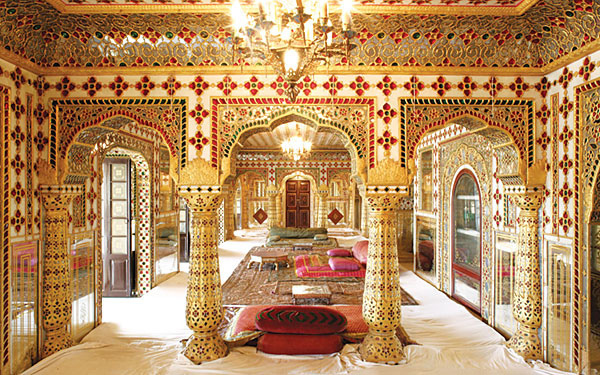 The City Palace in Udaipur in the state of Rajasthan has a lot in its store to reveal the age-old history it possesses. The royal building is a huge complex with plenty of rooms and pillars inside. It took more than 300 years to complete the structure properly. Started during the time of Maharana Udai Singh II. The lake Pichola nearby is the highlight when you get ready for a tour of the greatest places to visit in Udaipur. 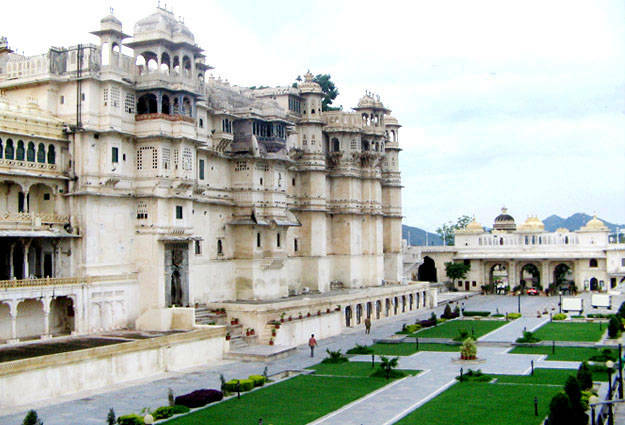 Since it is the biggest building in Udaipur it is considered as one of the best sightseeing destinations. The flamboyant structure with a blend of Mughal and Rajasthani architectural style dominates other famous palaces and buildings around the city very authentically. It is located on a hilltop where you can enjoy a real panoramic view of lake Pichola and the Lake Palace on the banks of this particular lake. 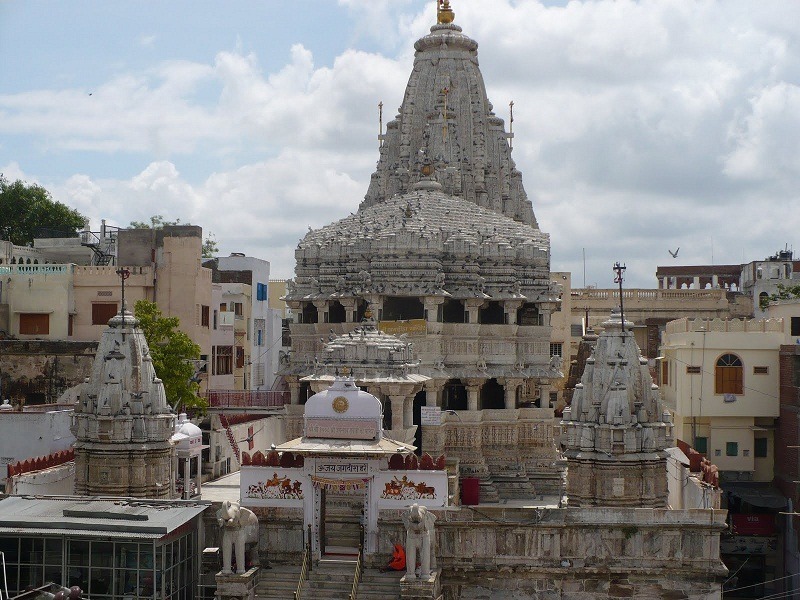 Built by Maharana Jagat Singh in 1651, Jagdish Temple, situated within the Udaipur City Palace is another one of the great works of architecture from the olden days. It has finely carved pillars, beautifully decorated ceilings, gorgeously painted walls, and spacious halls and corridors. Apart from this, the architectural expertise also extends itself to the pyramidal spire, mandap (prayer hall) and the porch. There are 50 finely carved pillars, each on the first and the second floors of the three storey temple. The main shrine, dedicated to Lord Vishnu, is reached by climbing 32 marble steps and it is encircled by minor shrines of Lord Ganesha, Sun God, Goddess Shakti and Lord Shiva respectively. All the fine details of the palatial temple are built in accordance with the Vedic Vaastushastra, which speaks of the science of building. The entire structure today serves not only as a place of worship but also as an initiation into the culture of the people of the past. Known as Lake Garden Palace, Jag Mandir has been built on the island of Lake Pichola. The construction of this structure has been credited to the three Maharanas of Mewar. This palace was started by the Maharana Amar Singh in the year of 1551 and was later carried on by Maharana Karan Singh and completed by Maharana Jagat Singh. Hence it is called Jagat Mandir or Jag Mandir. Serving as a summer resort and pleasure area for the royal family of Mewar, this place is also famous for holding parties and wedding functions. In here you will find Gul Mahal, Darikhana, Garden Courtyard, Bara Patharon ka Mahal, Zenana Mahal, and Kunwar Pada ka Mahal. Jag Mandir is the main palace and it includes the Gul Mahal. The towers at the corner are octagonal in shape and have cupolas on the top. Residential suites, reception halls and internal courts adorn the palace. 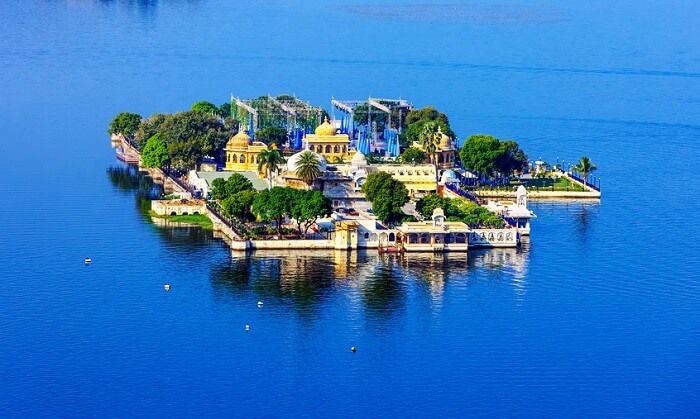 The Fateh Sagar Lake is known to be the second largest lake in this city, is located on the northern side of Lake Pichola and is just opposite the entrance to Moti Magri Mahal. This artificial lake was built by Maharana Jai Singh in 1678 and got its name from Maharana Fateh Singh. This water body has a depth of 11.5 metres and extends 2.4 km in length and 1.6 km in breadth. There are three intake channels and one overflow channel in the lake that actually comes in play during the monsoon season. The three small islands on the lake can be easily reached by a boat. The large island on the lake has a garden and a boat shaped restaurant named Nehru Park. This island also has a small zoo and is a favourite picnic place for the local people. This is one of the most important places to visit in Udaipur. Lake Pichola is the reason we call Udaipur the ‘City of Lakes’. Built in 1362, and extending 3 miles in length and 2 miles in breadth, this lake is an essential part of Udaipur and far by its best feature. Astonished and amazed by the beauty of Lake Pichola, Rudyard Kipling once wrote: "If the Venetian owned the Pichola Lake, he might say with justice, `see it and die'". Take Kipling at his word and visit Lake Pichola when in Udaipur, both in the day and at night. the lake takes on a whole new character depending on the time of the day. In the morning, lake and palaces are quiet. The lake is speckled with tourist boats and people clicking selfies line the shores. As night creeps in, all the Palaces around the lake light up and illuminate the lake. No boats, no birds, nothing to see except the lit-up palaces as they stand impressively around the lake. It is an awe-imposing spectacle. The Eklingji Temple Complex is one of the architectural sights you need to put on your list of places to visit in Udaipur. It is a complex whose foundation dates back to 734 AD. The first temple of the complex was built back then by Bappa Rawal and dedicated to Eklingji. Eklingji is a form of Shiva and the complex is full of figurines of Shiva along with figurines of Parvati, Saraswati, Ganesh, Kartik and Nandi. Over the time, the complex has grown to house 108 temples, all of them are made out of marble and granite with complex designs cut into the stone. 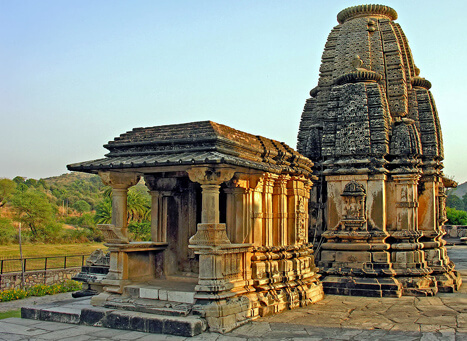 The sole temple of the Lakulish sect in India, known simply as the Lakulish Temple and built in 971 is also housed here. This complex is a not just a place for history enthusiasts and people who want to pay their respects in the temple. It is a place full of memories of a distant past; a time when modern technology could not aid in the construction of complicated buildings. Sheesh Mahal is a two-level, open-air fine-dining Indian restaurant, overlooking the lake. Sheesh Mahal mirrors the true essence of the kitchens of India and elevates fine dining to another level. They welcome you to feel like royalty as you enjoy Indian flavours to their authentic best. Using recipes mastered in royal kitchens, with contemporary nuances added to them, the two-level restaurant takes diners through a journey of exquisite Indian flavours. The ambience of the open-air restaurant glitters under a clear sky full of stars. Added to it, the evening glow of candles in various hues adds a resplendent touch of a bygone era. Jaisamand Wildlife Sanctuary is a wildlife sanctuary situated on the shores of Jaisamand Lake, the second largest artificial lake of Asia. The lake and the sanctuary work in synergy with each other which helps the marine and the forest life to thrive and grow immensely. In existence since 1957, the wildlife sanctuary is spread over an area of 62 square kilometres and houses wildlife such as sloth bears, leopards, chitals, chinkaras, wild boars apart from a wide variety of the birds like Darter, Open Bill Stork, Pond Heron, Little Cormorant and Indian Shag. The density of the flora is matched by the depth of the fauna in the lake which includes various species of fishes, turtles and many crocodiles. 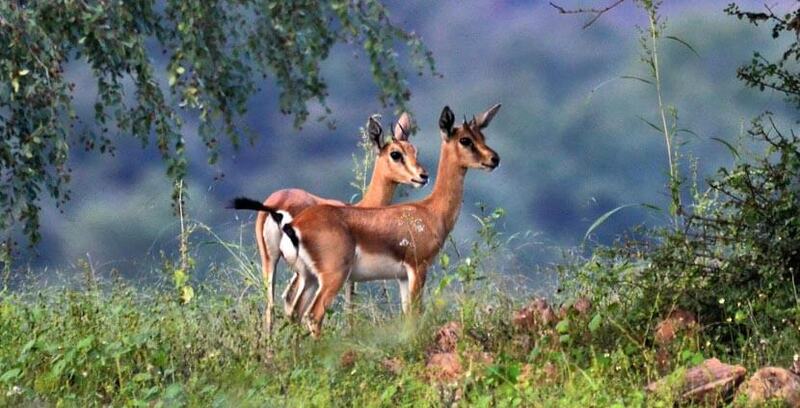 The Jaisamand Wildlife Sanctuary is a great compliment to the Jaisamand Lake. Do visit both together for an optimal experience. 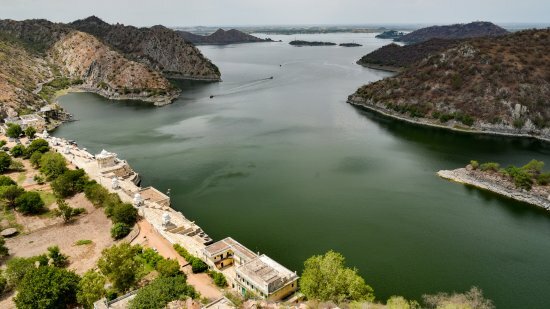 Surrounding the Sajjangarh or Monsoon Palace, Sajjangarh Wildlife Sanctuary is a favorite destination of tourists who go to enjoy the sights of the best places in Udaipur. Very rare species of wild animals can be spotted here such as sambars, wild boars, chitals, hyenas, jackals, panthers, hares and blue bulls. In the background of the sanctuary, you can see the Bansadra hill that will let your heart get replenished. There is the Tiger Lake which is also known as Bari Lake or Jiyan Lake supports the ecosystem present inside the sanctuary. It is home to another kind of animals such as panthers, hyenas, and jackals. Jhar water hole is situated in the western region of Bansadra Hill and also there is a temple dedicated to Lord Shiva. 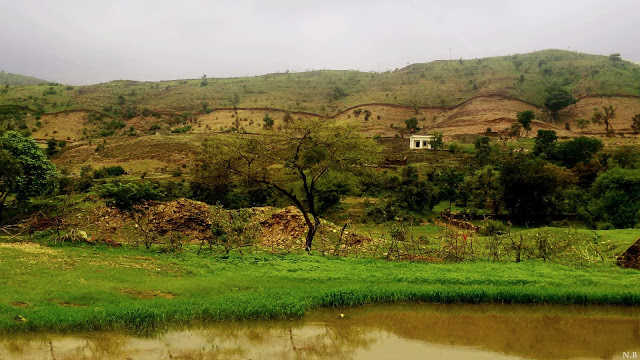 Machla Magra which has the shape of a fish is a hill situated near to the sanctuary from where you can spot the collection of wild animals in the sanctuary.